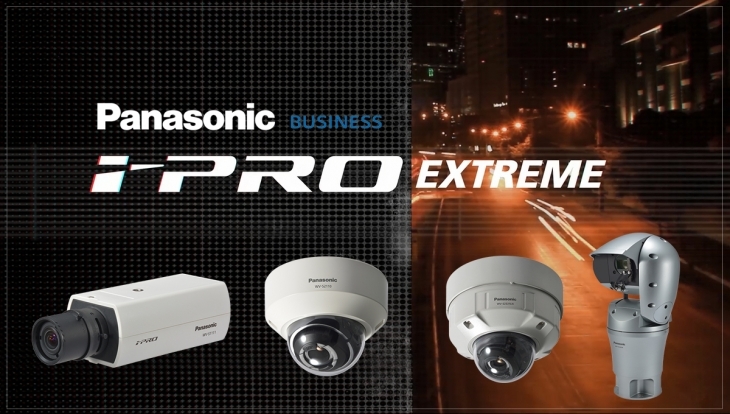 Panasonic has just launched the next generation i-PRO® Extreme surveillance technology platform, a native end-to-end H.265 system designed to maximise the performance and cost-effectiveness of video surveillance systems, whilst protecting against cyber security threats. The new platform will be rolled-out across a new line-up of Panasonic cameras, recorders and video management software (VMS) in 2017, delivering advanced enhancements in image quality, data compression and security, reliability and embedded intelligence. The i-PRO® Extreme platform has been launched in the Australian market in response to the rising need for companies to store significantly more data at a lower cost and reduce bandwidth requirements, which the platform ensures by reducing streaming and storage by approximately 50 per cent over the H.264 industry standard. It’s estimated that by the year 2020, accumulated data will grow to 44 trillion gigabytes*1, creating global pressure to find effective solutions. Australian businesses are also increasingly looking to the Internet of Things (IoT) to help protect valuable operations – from warehouses and factories to city infrastructure assets – requiring sophisticated surveillance technologies to detect physical theft and vandalism. However, the uptake of these IoT devices has made businesses more vulnerable to cyber security threats – with the potential of a $14 billion damage bill over the next decade for Australasian cities*2. – Marc Amelung, General Manager, Mobile Solutions and Security Solutions, Panasonic Australia. Captures the highest quality images even in very dynamic and challenging lighting environments. The new i-PRO Extreme cameras feature Intelligent Auto control, deliver outstanding low-light performance and feature an industry-leading 144dB of Extreme Dynamic Range for balanced exposure and accurate colour in every situation. To meet rising data storage challenges, H.265 compression technology coupled with Panasonic’s Smart Coding technology delivers the highest quality images at the lowest bitrates. It begins with H.265 encoding, providing a 50% reduction in bandwidth compared to H.264; and Panasonic Smart Coding which reduces bandwidth requirements even further by up to 75%. Delivers low failure rates and redundancy, anchored by technologies like HDD Dynamic Power Control for the upcoming WJ-NX400 class recorder, which intelligently and dynamically powers down HDDs without risking recording loss. Automatic-Failover allows two recorders to run in tandem for seamless mission-critical redundancy, reducing HDD failures and greatly extending working life. Panasonic’s Video Insight (VI) is an enterprise-class video management security solution and is one of the first platforms to support H.265 and the new range of i-Pro Extreme cameras. VI supports more than 3000 camera models from 100 manufacturers and integrates with the industry’s most popular access control systems. The WJ-NX400 i-PRO Extreme H.265 Secure System Recorder (available in late 2017), will feature H.265/H.264 recording, increased throughput and recording channel capacity as well as an integrated GUI for PC-Less applications enabling a complete camera/recorder/viewing solution without the need for a separate PC client. The new WV-ASM300 i-PRO Extreme H.265 Secure Video Management Software application (available in late 2017), is a major new update of Panasonic’s popular WV-ASM200 software. The ASM300 is a powerful Windows® application that enables a secure, scalable H.265 ready, multi-camera, multi-recorder surveillance management environment and is compatible with Panasonic’s legacy i-PRO line of H.264 cameras, recorders and encoders.